Interactive Map Location of Erebus City in Dream Realm. Erebus City is the sole city of the Dream Realm, located in the northeast. 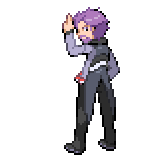 It is home to the 8th and final Gym of the Torren region that is led by Adam. After obtaining the ability to use Hyperspace Hole, it becomes the only location where it is possible to return to Torren from the Dream Realm and vice versa. Walk into the Erebus Gym to start a short conversation with Adam. After defeating Adam and leaving the gym, head north into the cave and then use Hyperspace Hole to return to Samsara Cave. Once the player has obtained the ability to use Waterfall and Rock Climb to return to the Dream Realm, the player is immediately thrown into a conversation with Adam in his Gym shortly after reentering Erebus City. After the conversation with Adam finishes, the player is warped to the Prion Site and is told to go west into the Nightmare Badlands. Once Darkrai has been defeated or captured in Rem Village, the player returns to Erebus City to assist Adam by fighting Damian. After defeating Damian, the Deoxys virus is lifted from Damian and the cultists before Malde leaves the player's Dream Realm, never to return. Adam takes Damian away to bring him up to speed on what's happened since his mind was taken over by the virus, marking the end of the Damian Quest. (Note) If the player successfully catches Darkrai, the battle will may take place. Right by the entrance to the city, there is a Chansey and a Mart Worker to help the player prepare for the upcoming Gym. PCs can also be found in most homes to make changes to the player's party. The Erebus Gym is the official Gym of Erebus City, whose Gym Leader, Adam, specializes mainly in Dark-type Pokémon. The gym has several laser puzzles that requires the player to rotate mirrors to focus the laser beam into the receiver to unlock the way forward. After beating the Gym, the Artist to the far left can teach the player's Pokémon several Dark-type moves. After earning their 8th Badge, the player is able to use the portal behind the Erebus Gym to return to the Torren region through Route 5 and Samsara Cave. Note that the player is unable to return through this portal until they have obtained the ability to use Waterfall and Rock Climb, so it is advised to finish any business remaining in the Dream Realm before leaving. A man dressed in black in the northwesternmost house will sell a Magby egg to the player for 5000. A blond man in the house northwest of the Mart Worker and Chansey is willing to trade the player a Druddigon for any Pokémon. After the player has completed the Elite Four rematch and fulfilled Damian's request in Maelstrom 9, he will be waiting for the player in front of the Erebus Gym to gift them with both Shaymin and an egg of one of the Delta starter Pokémon. Note: Save before speaking to Damian, as there is a bug that seems to cause him not to give an egg to the player. This may only occur when the player's party is full.